Happy SPRING, it’s coming and so is the pollen! Jessica told me Saturday pollen count is thru the roof! Oh gotta love our “valley of disease” here in the Willamette Valley! Allergies are not a normal response of the immune system. It’s when it’s overworked. 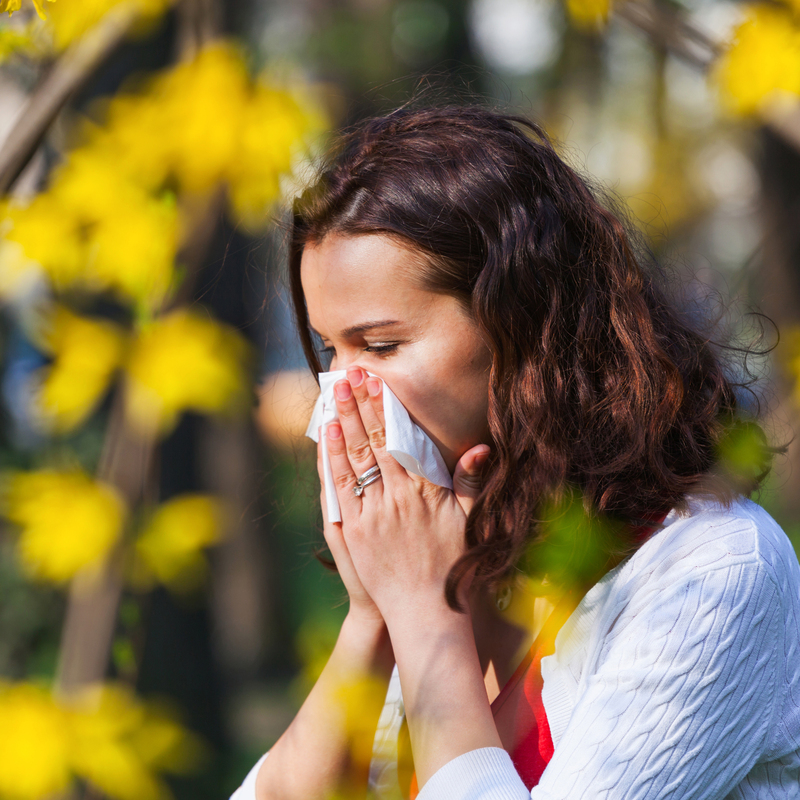 Does it seem as if each year seasonal allergies are worsening? People with allergies are experiencing severe symptoms and those who never before experienced allergy symptoms are also suffering. Over the counter antihistamines are working inconsistently, and have dangerous side effects. Histamine, a chemical found in certain cells of the immune system, is the culprit behind the sneezing, itching eyes and runny noses that are associated with seasonal allergies. It is released by the immune system in response to any compound that is seen as potentially harmful. Although we all have histamine in our bodies, people with allergies have too much histamine. When histamine builds up in the body even small amounts of extra exposure to allergens can cause symptoms. For example, when pollen levels are high, eating foods such as shrimp and strawberries – which are high in histamines – can cause allergic reactions. Work up and have tested what your histamine level is and what foods trigger your asthma, allergies or sinusitis. Reduce Histamine, your immune system thinks it’s helping, but it’s overreacting. Why are you overreacting? generally high toxins, poor detox pathways, eating food allergies, etc. This orgin needs to be addressed with your doctor but in the mean time High Doses of Vitamin C with Quercitin can destroy that histamine fast! Buy Local Honey and Eat it! The immune system like to have food go through the GI tract to identify it as friend or foe. THis introduces pollen as food which if your have good gut flora and Th3 response your immune system will learn to leave pollen alone, learning it’s not a threat! Our Bodies are SOOO COOL!! Stinging Nettles are very helpful, you can make tea, pesto, infusion, vinegar if you are bold to harvest. Or we offer many forms in office or via our buy medicine tab. Homeopathy for desensitization or for treatment has helped reduce my patients from having corticosteroid shots and inhalers to only needing vitamin C during this time of year!! 6. Detox! Oh my fave! Yeah time to clean the filters in your body! if You have allergies it’s a great idea to do a clean up. We love to assist in a gentle spring cleaning! Make appointment now for individualized cleanse regimen. READY NOW TO GET GOING Now? Here’s A TOP RESEARCHED Program IN LIVER DETOXIFICATION. Heavy metal removal even which is bothering more and more chronic illness, pain and fatigue issues. With resources, guide, shake and supplement for an easy start @ just $119. Click below to get started, if it’s your first order get your other supplements ie vitamin, fish oils or vitamin D to take advantage of the 20% off your first order! !